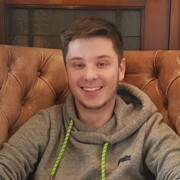 Hello, I'm Mikael and I'm currently studying at the University of Portsmouth studying MEng Computer Science. I am available both evenings and weekends to tutor and am more than happy to work around your schedule. Throughout my time at Sixth Form and Secondary School I encouraged my peers to always push themselves and was more than happy to sit down with them and work through a problem or explain a concept that they did not understand, often using models to explain the problem in another way. This wide range of experience with students aged 9-18 has allowed me to adapt to all manner of learning styles, whilst still remaining patient and calm. In my spare time, I enjoy illustration, cooking and spending time with family. I have worked with KS2 and KS3 students, providing 1 to 1 support inside of a classroom. In addition, I have helped many students aged 11-18 through A-Levels and GCSEs. Makes it all easy to understand. Great first session.